This longstanding competition has been a staple within the healthcare marketing sector and it’s easy for candidates to get involved with this year’s event. The entry process is simple and doesn’t require any prior tests; candidates can enter by filling out an entry form with information about their current role and level of experience. Click here to get started and complete an entry form. The finals day is a great opportunity for candidates to see how their skills stack up against fellow marketers in their sector, and to share best practice among peers. There is much to be gained from taking part in the live finals day; candidates will receive feedback on their performance from our panel of expert judges. This feedback could prove to be invaluable for a candidate who wants to take the next step up in their marketing performance. Competing in the finals day offers a rare and unique experience for healthcare marketers that shouldn’t be missed. Candidates can choose between a wide variety of categories which support all levels of experience; these range from Aspiring & New Marketer of the Year, to the more experienced roles of Marketer of the Year & Aspiring Business Unit Director of the Year. There is also scope for a team of marketing and communications professionals to get involved with the Commercial Cross Functional Team of the Year category. Click here for more information on all of the categories available. As well as this great personal development opportunity, it’s also a chance to be recognised within the industry for exceptional marketing ability. 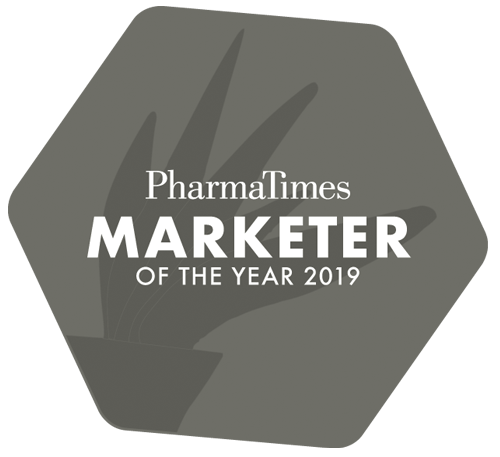 The high profile awards ceremony will see all finalists praised on their efforts before a winner is crowned and awarded the admired accolade of a pharma. These prestigious awards are highly valued and recognised within the industry so winning would a fantastic accomplishment.